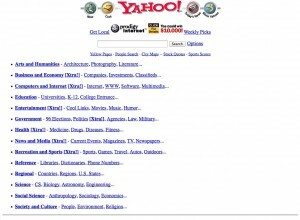 The Wayback Machine, a digital archive of the World Wide Web, has reached a landmark with 400 billion webpages indexed. 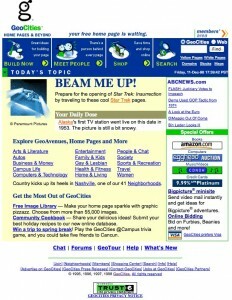 This makes it possible to surf the web as it looked anytime from late 1996 up until a few hours ago. Let’s take a trip back in time and visit some sites. 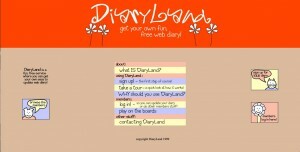 There were even places to start your very own web diary way back in 1999. I guess we don’t want to break our brains. Oh, well. 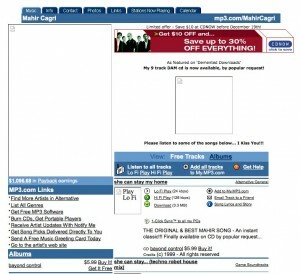 2001 – The Wayback Machine is launched. Woo hoo. 2006 – Archive-It is launched, allowing libraries that subscribe to the service to create curated collections of valuable web content. June 15th, 2011 – The HTTP Archive becomes part of the Internet Archive, adding data about the performance of websites to our collection of web site content. October 26, 2012 – Internet Archive makes 80 terabytes of archived web crawl data from 2011 available for researchers, to explore how others might be able to interact with or learn from this content. October 2013 – New features for the Wayback Machine are launched, including the ability to see newly crawled content an hour after we get it, a “Save Page” feature so that anyone can archive a page on demand, and an effort to fix broken links on the web starting with WordPress.com and Wikipedia.org. We’re proud of you, Wayback Machine! You’ve grown so big on a healthy diet of web captures, and you’re growing more every day. 21 Responses to Wayback Machine Hits 400,000,000,000! Its amazing how much data is available on the web. How big is the Wayback Machine in Gigabytes ? He wants it in Gigabytes. Not a fan of converting aren’t you? A bit of a silly correction considering you can measure a petabyte in gigabytes if you felt like it. The article says that in 2009, it held 3 petabytes (3000 terabytes or 3 million gigabytes). I wonder how much that is after you remove for redundancy. We recently surpassed 8.9 petabytes in storage for the Wayback Machine alone, and of course that’s a number that’s constantly growing! That’s 9,332,326.4 gigabytes. If only I had enough time to really get into all this information! All this knowledge is going to dispell a lot if not most of our cherished assumptions and prejudices. What will happen to the human race then??? All the more reason not to have nuclear weapons laying around. All the more reason for war to be just a remembrance in our DNA. It is said that those who don’t their history are bound to repeat it. Well, there is NO EXCUSE NOW! Thanks so much for all that you do and it would be great to see an amazing infographic encompassing these last eighteen years to visually mark this impressive and significant milestone. le reddit army iz here! Thanks to Jason Scott and all those brave souls who dared to accomplish and maintain this phenomenal task! Thanks and thanks again for your amazing efforts. The logo to my site is based upon the old logo of my first blog ever . I didn’t believe when I found it in the time machine, but i did. Your work is one of the most important things in this modern age. Thank you Wayback, for allowing us to access our old sites from before 2000! One of them, http://www.hsd.de/blackriders, is still among the missing. You cant have everything! Wow thats a staggaring amount of data. as the web keeps growing how will you manage all the information.